Ananya Shelters through its signature project Ananya’s Nana Nani Homes envisages an adorable residence for the retired with best-ever modern day amenities and dedicated residential services to make life after 50 stress-free, self-reliant and enlivening. In pursuit of our vision, we are keen on creating inclusive residential environments with impeccable infrastructural advantages wherein several of the frequented facilities like ATMs, Pharmacy, Clinic/Labs for regular check-ups, Dining hall, Ayurvedic spa, etc., are brought within the community so that residents need not commute long distances in search of them. 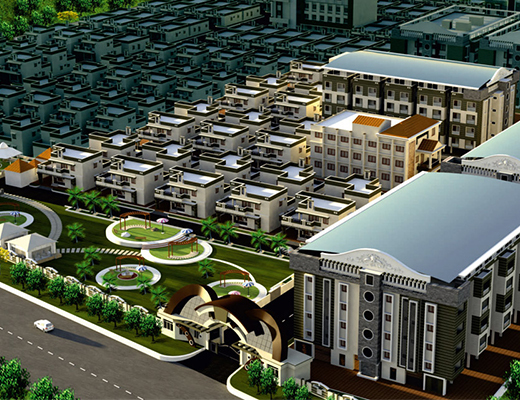 Set in the vibrant centre of Dhaliyur Phase III Annexe - I is collection of 116 Villas and 176 Apartments offering a sophisticated style of living in the flourishing district of Coimbatore. Set in the vibrant centre of Dhaliyur Phase III Annexe - 2 is collection of 66 Villas offering a sophisticated style of living in the flourishing district of Coimbatore. 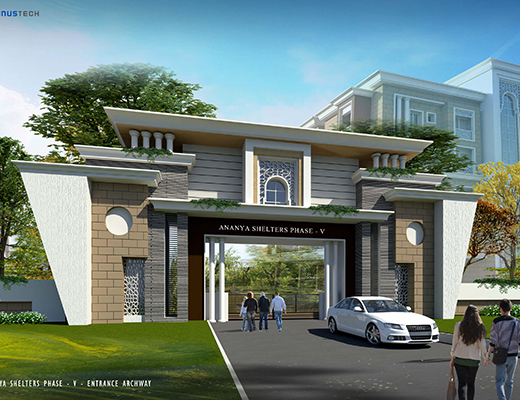 Ananya’s Nana Nani , as the name so amply demonstrates, has been specifically designed to provide not only care, comfort and security for senior citizens but also activities they would love to be part of, within framework of a plush community lifestyle. Home defines itself as a place where one’s body finds comfort in, mind appeased and heart in jubilation and joy. It is like a stage that straddles every act one desires to perform, watchful of every mood and scene life enacts. To be healthy is a conscious choice of food and lifestyle ensures good health. Life is in food that we consume and acts that we perform. We can either let life energy dwindle away in myriad ways or resolutely reclaim it to bolster a great force within us. As the tide of a day’s labour settles, we seek to retreat unto the leisure of home, to words of solace and hands of support. We never expect to labour again to garner moments of comfort. Same applies to life. Even the reminiscence of nature would bring one’s mind to composure. In erstwhile eras, after fulfilling responsibilities to kin and kingdom, people chose life in the woods. Nomads still wander around hills and valleys. We are extremely happy to receive Invitation of 15th Ceremony with ur personal message. Yes certainly it will be our pleasure & privilege to attend,receive keys of our Villa 111 & grace the occasion. My husband was working in Railways (Electrical Department –HOD)and got retired in the year 1993. We were searching a Senior Citizen home in Coimbatore from 2012 onwards. We stayed in Coimbatore for couple of days and visited around 20 Homes. We are also very fortunate to have the blessings and wishes of great personalities. We are also happy that the Senior Citizens like us will be tension free and relaxed at Nana Nani Phase III, without any problem as every thing is being taken care of including medical.